What is On the Road to Reading? On the Road to Reading is an early literacy program designed to encourage parents and caregivers to read 1,000 books to their child before they start kindergarten to help develop important early literacy skills and develop a lifelong love of reading and books! 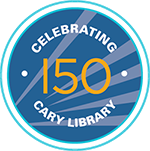 Broken into 100 book milestones, the Library will celebrate your child’s reading achievements as you move along the Road to Reading! 1,000 books? That sounds like a lot! Can we actually read that many books? Read the same book over, and over, and over, and it counts every time. You can read a book in any language, not just English! Books read to your child at storytimes count, too! And books read to your child at preschool, daycare, by a nanny, grandparent, caregiver, or even an older sibling! It does not have to be a library book! Any book you read counts, whether it’s a library book, your own book, your friend’s book, etc. Audio books and e-books count too! 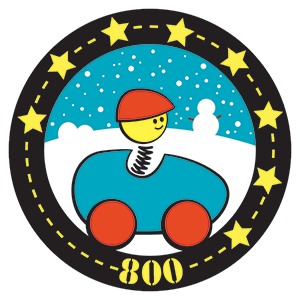 Register your child for the On the Road to Reading Program through your Beanstack Account. Note: this will be the same account that is used for the Summer Reading Program if you have participated previously. If you already have a Beanstack account, skip to Step 2! If you have not previously participated in the Summer Reading Program, get started by selecting “Register an individual or family”. Create an account. This will be the primary account. Multiple readers may be registered within this account so each child’s reading may be tracked separately. The program will ask if you wish to register an adult, click no. The program will ask if you wish to register a child. Click yes! Enter the child’s information and repeat for each child you wish to register. Sign into your Beanstack Account. In the upper left corner of the page, you’ll see which account you are currently viewing. To change to a different reader, click “switch readers”. Choose the reader that you wish to register for the On the Road to Reading program. If your child is eligible to participate in On the Road to Reading, you will see the program appear. Click the “register” button.Repeat for any additional children. How do I track my child's reading? There are several options for participating in On the Road to Reading. Parents may choose to go paperless and log their child's reading entirely through the Beanstack account. If you want to keep a log of every book your child reads, you may choose to log each individual title. Parents may also choose to enter the total number of books read each night, rather than individual titles. Paper logs are available in the children’s room for parents who wish to track by the number of books read and make note of a few favorite titles. Color in a circle along the road for each book read and, when you have filled your log, enter the 100 books into your Beanstack account; or bring the completed log to the Library and we will enter it for you. How does my child earn prizes? In order to receive prizes, your child’s reading must be logged into their Beanstack account (either by you, or by a library staff member when you present your paper log). 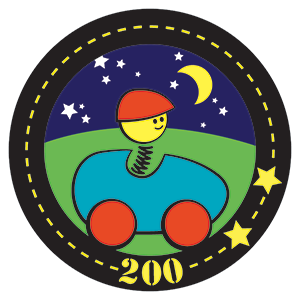 For every 100 books your child reads, we will give them a special On the Road to Reading sticker and they will be able to move their car further down the map. When they finish 500 books, they will earn a special book prize. When they finish 1,000 books, they will have completed the program and earn another book prize as well as an extra special prize! Can we count books I read to my child before I registered? No, the program begins for your family on the day you register. You may only count books you read after registering. I have more than one child participating. If I read to both of them, can they both count that book? Yes! If more than one child is listening, each child can count the book. What is the deadline for completing the program? 1,000 books must be read prior to your child starting Kindergarten. Beyond that, there are no time restrictions - take your time, enjoy the journey and reading with your child.